Trying to find that something or someone that makes you feel safe is imperative for happiness. But what happens when that safe haven isn't what it's supposed to be? In Penny Jackson's Safe, a young impressionable girl with a litany of issues becomes engulfed in emotions by the influences in her life. Playing the Theatre at the 14th Street Y, Safe is a delicate story about body image and the human psyche. Nina is the typical city kid. She has parents who aren't present in her life, causing her to seek solace in other resources. As she deals with her own image, her best friend, Liz, a self-proclaimed crazy girl, deals with a similar disorder. Only being on opposite sides of the spectrum is not beneficial to either. While finding refuge at a nearby Starbucks, Nina meets a man who sells her a tale that she needs in the moment while taking her under his wing. 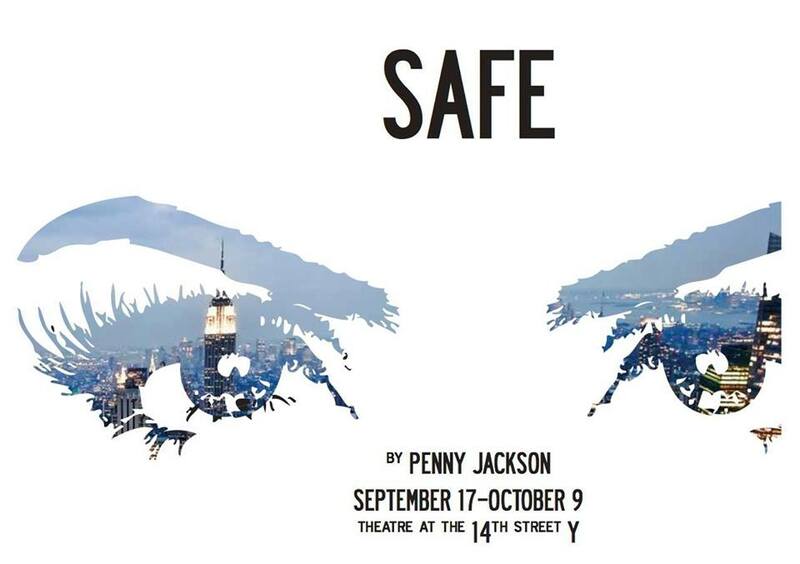 Safe is a play which handles social issues that are relevant to today but Jackson's dialogue teeters on afternoon special. The delivery of the lines evoke something this play is not. Jackson smartly keeps her story to four characters. Nina and Liz have much clarity to their narratives. Paul and Phillip on the other hand, could be beefed up. Paul is not a physical presence for Nina yet she longs for a relationship with her dad. After learning of the incident, Jack has a prime opportunity for offer a redemption arc for Paul. By almost losing his daughter, Paul needs to be woken up to the reality. In the epilogue-like final scene, Jackson explains a bit about Paul’s actions but it is much stronger to hear it from the man. Phillip is a captivating figure. But the truth of the character and his intricate backstory never quite gets solidified. Ambiguity is one thing but Jackson layers in so much that learning the danger of the interaction between Phillip and Nina is imperative. With the topics set forth, Nina and Liz are not easy roles. Meghan St. Thomas and Jill Shackner did an exceptional job tackling these girls. As Nina, St. Thomas had an edge that avoided the stereotypical emo route. Shackner's Lizwas brazen and bold. She played the best friend as a girl desiring to be the focus, adding an extra conflict to the relationship. Sawyer Spielberg was subdued and affable as Phillip. He had an instant charm that when he made his drastic switch, an instant state of shock came over you. Joel Nagle played Paul like a salesman who actually has the ability to seal the deal. Nagle was forced to play him as vacant, both physically and mentally. There was a struggle when it came to the character always seeming to have a cancelled meeting, but Nagle made the best of the situation. Director Glory Kadigan had some hurdles to overcome to make Safe a success. Between a giant playing space and a three-quarter thrust alignment, translating this intimate piece actually come across as such didn’t always happen. Additionally, the rules of the apartment were muddled simply due to the placement of entrances and exits of the theater. What did come across was the danger of the plot. The stakes, for the most part, were kept high even if the dialogue didn’t match. The set from James Dardenne was very sleek with strong lines. The linear design was pleasing to the eye, the only problem with such a sharp and clean set, any technical flaw becomes blaring. 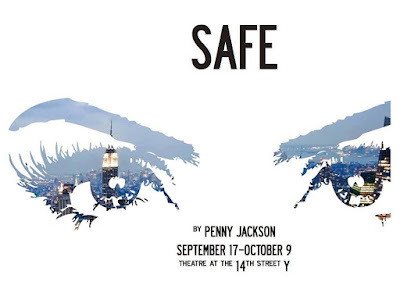 Safe tackles some important themes but Penny Jackson’s text and forced plot points hindered the piece. Another pass through the story will aid the play greatly. As it stands now, Safe is mediocre at best.